This stuff made me weak behind the knees! Don't get me wrong, I like chocolate, but I am really a fruity caramel type girl! This came together in about 10 minutes total time and I poured it on everything that stood still long enough. The cats are luck I don't eat meat! Since I am not baking in the evening due to the heat stroke it will cause the illustrator being that the air conditioner is still broken...I am coming up with different ways to satisfy my sweet tooth. This did not disappoint at all! I had a sad lone banana that was either going to be eaten today or it was going into banana bread. I decided to slice it up, throw it in a bowl, crumble some Vanilla KinniToos, pour on some caramel love and enjoy! So good! Look at the dribble down the side of the cup. Perfect caramel sauce consistency! I was a happy camper! I made the boys happy too with some mini cheesecakes with caramel sauce. The cheesecake was lite and creamy with a Vanilla KinniToos as the base. 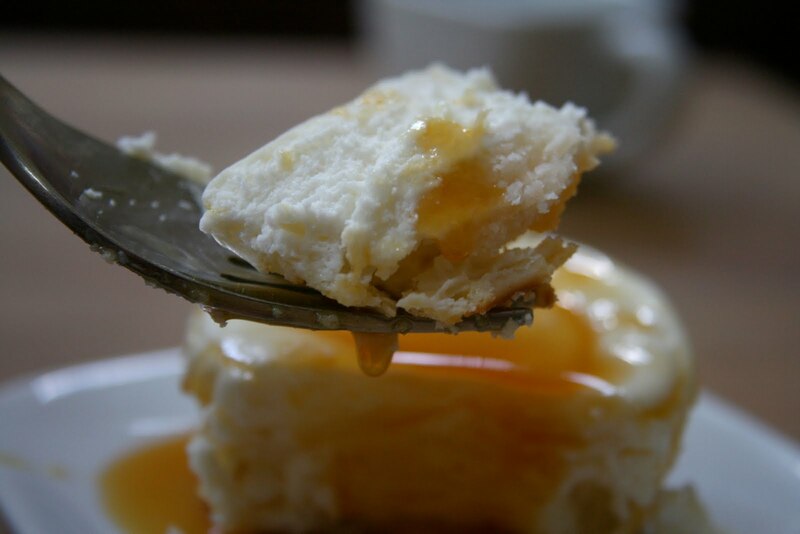 These little cheesecakes are so quick and easy to put together. I did this at 7 am so the oven would only be on for a little bit in the morning. I love making little treats like this. Great portion control and a great way to take treats to events! I know this is pure sugar, but I lowered the fat of the cheesecake and the caramel. Everyone needs a little sugar every once in a while! Everything is dairy and gluten free...perfect treats for our home! Preheat your oven to 350 degrees. Line a 12 cup muffin pan with liners and spray with no stick spray. Place a cookie in the bottom of each liner. In a mixing bowl combine the cream cheese through egg whites and mix until smooth. Stop a couple of times and scrape down the bowl. Evenly distribute between the muffin cups and bake for 20 minutes or until set in the middle. Allow to cool completely and then refrigerate. Combine the sugar and water in a heavy sauce pan. Cook on medium high heat stirring occasionally. Bring it to a boil. Keep an eye on it at this point. Between 5 to 10 minutes it will caramelize. 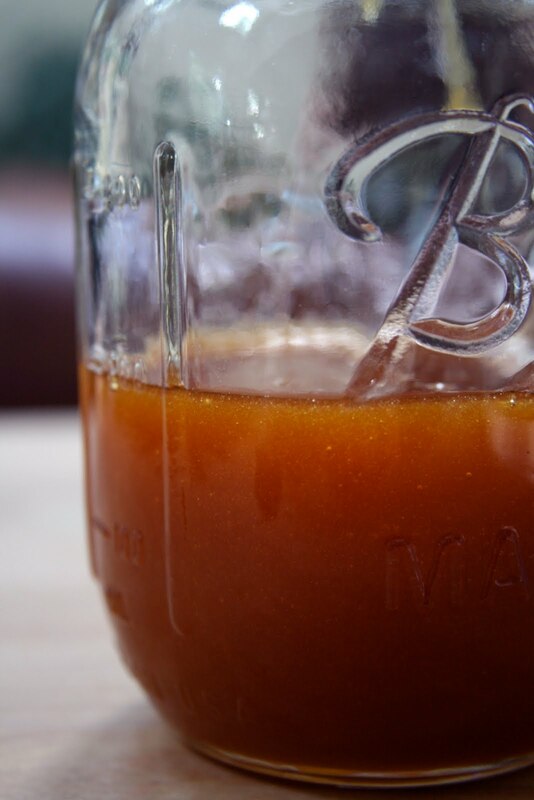 When it reaches a deep amber color, remove from heat and stir in 1/4 cup almond milk quickly. Add the Smart Balance and pinch of salt and continue to stir until completely mixed it. At this point, I needed the extra 2 TBSP almond milk to get it to a pouring consistency. Store in the refrigerator. 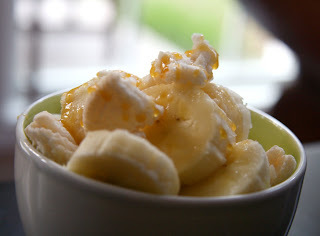 The caramel sauce tastes sinful, but it is actually low in fat and a little goes a long way! 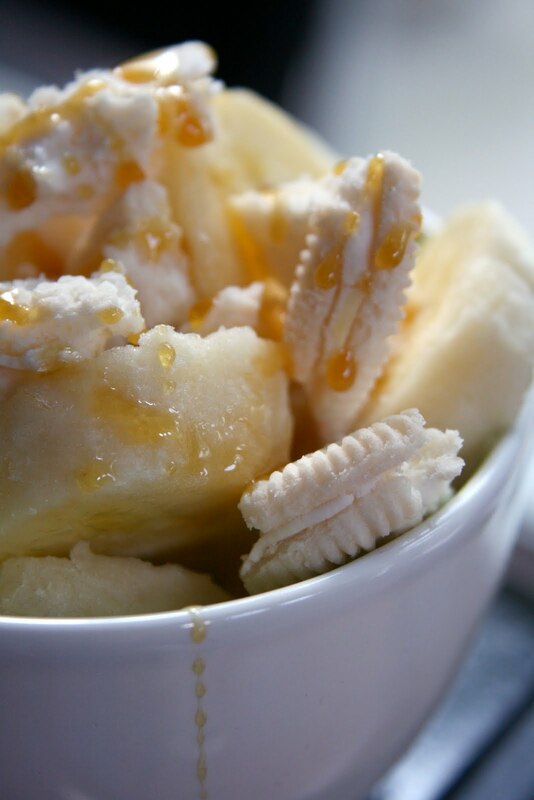 It is only 61 calories per tablespoon and so delicious! Do you cut calories on sinful dishes when you can? This looks so simple and delicious!! Yum! Oh that looks so SINFUL. Love it. As soon as I saw the title of this post I knew I would love it. The cheesecakes look fabulous! Wow - this looks seriously good! Those little cheesecakes look so sweet and yummy! And dairy-free caramel sauce??! Even better. I'll only adjust the ingredients in dessert recipes if the flavor/texture isn't affected. Like swapping some of the applesauce for oil in muffins never change much [for me]. But when it comes to cookies...the applesauce makes them too fluffy so I just go with the full-fatty cookie! mini cheesecakes!! what a cute idea and they look So good! Hey Sarena! I love your blog layout & title. OMG I love you more than ever! omg this is like the perfect food ever. gf and dairy free cheeze cakes. omg. with caramel! NICE! the fact that you have 3 men in your house so 4 to feed on 1 income w/ food allergies, yeah, i can imagine you stay to the perimeter too. and eating the same foods all the time..hello, food intols. WE know what it's like and once you find what works why change it..to suffer and have reactions and flareups? heck no! So yes, i totally get that too! 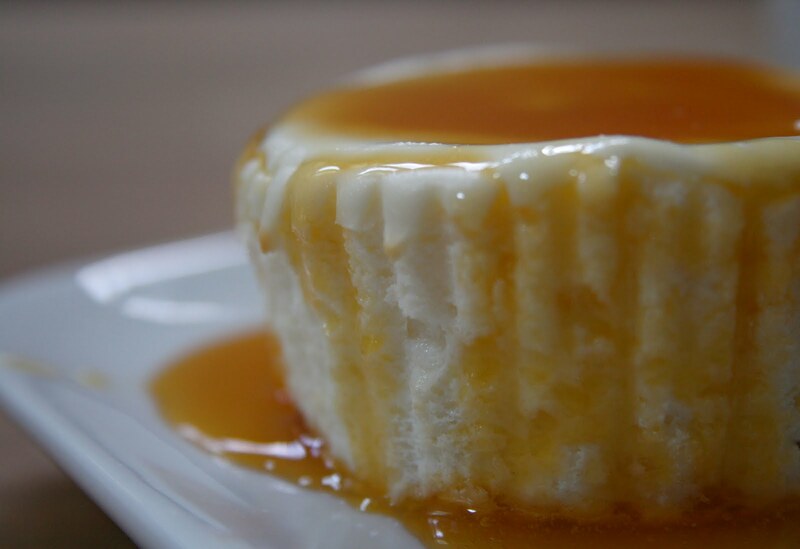 Oh my goodness Sarena, these mini cheesecakes with Caramel Sauce sound amazing! Also, this is my first time visiting your blog and I must say, I love your layout. It's so unique and cute. I was curious-do you have to use almond milk, or would any type of milk work? Spitfire, I used Almond milk, but I think any kind would work. Let me know what you try. I LOVE mini cheesecakes with a whole cookie as the base, and I love anything Kinnikinnick. Looks declicious and I love the non-dairy part!